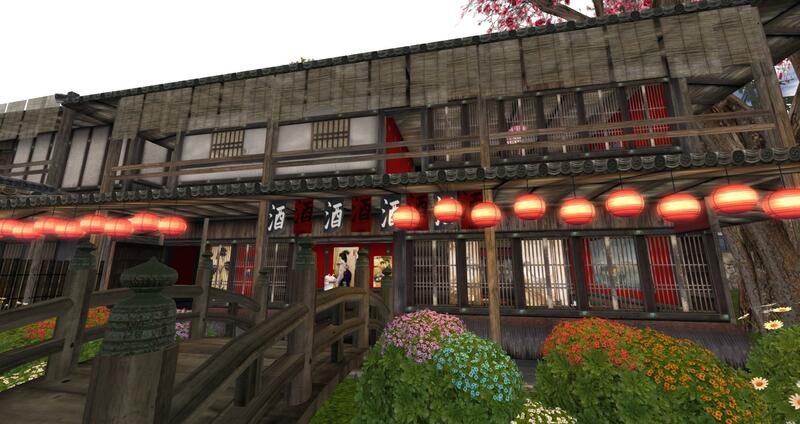 Koto Project is a not yet opened role playing sim. Set in Edo period Japan, thre’s things like shops, a beach, kabuki theater, sake house, tea house, and a residential area and some beautiful gardens. Along with Chores like apple picking, wood chopping, tending to chickens and watching laundry. This sim is absolutely beautiful! So with out any more talking I will give you the photos!